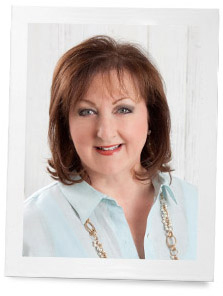 Guest post from the editors of Victoria. 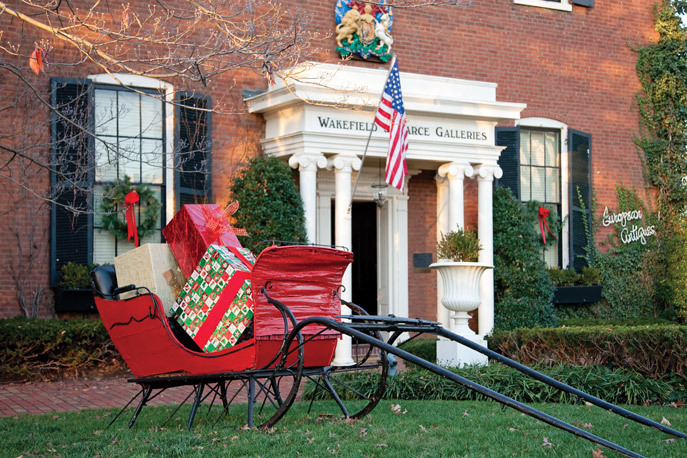 The legacy of the Wakefield-Scearce Galleries—once a renowned school for young women—is perhaps best illuminated during the holidays, when the shops are gleaming with treasures and the property’s rich history comes alive with the jubilant spirit of the season. In keeping with the Kentucky landmark’s original mission, the site remains a wellspring of knowledge and inspiration. For the young ladies of a bygone era who aspired to pursue lives of knowledge and prosperity, Science Hill was nothing short of a dream. An exceptionally rare institution of learning, this Shelbyville, Kentucky, school opened its doors in 1825 and eventually became one of the preeminent girls’ preparatory academies in America. The ambition of a vibrant young educator who had recently come to the area with her pastor husband, Science Hill School was initiated by Julia Ann Hieronymus Tevis. She strove to take her female students beyond the traditional ladies’ curriculum of reading, writing, and the social graces and encouraged them to explore an education in the sciences—an area of study unheard of for women of the time. After 114 years of successful operation, the prestigious school graduated its last class in 1939 and had earned a reputation of excellence for its contribution to education and culture. Now a showcase for some of the country’s finest British antiques, Science Hill’s Wakefield-Scearce Galleries pays a fitting tribute to the illustrious legacy of this historic property. Founded in 1947 by Mark Wakefield and Mark Scearce, these exquisite galleries are especially captivating during Christmastime, when visitors are offered a holiday experience like no other, amidst an enchanted ambience that truly embodies the brilliance and innovative spirit of the school’s earliest pioneers. Guests are invited to stroll throughout 32,000 square feet of impeccably decorated rooms to delight in one of the country’s most recognized purveyors of English Georgian antiques. An unsurpassed collection of vintage silver, fine oil paintings, and stunning accessories adds to the beautiful bounty at the Wakefield-Scearce Galleries, affording shoppers an opportunity to view and purchase the remarkable period furniture in a warm and inviting residential atmosphere. Dressed in a rich palette of red and green, the Porcelain Room twinkles with a quaintly themed English Christmas-village tree. Set for an elegant holiday gathering, the space features a spectacular William IV two-pedestal dining table with beautifully carved Irish Chippendale chairs. The sparkling tableware above includes Tassel reproduction china from Mottahedeh paired with crystal goblets and Georgian silver flatware. 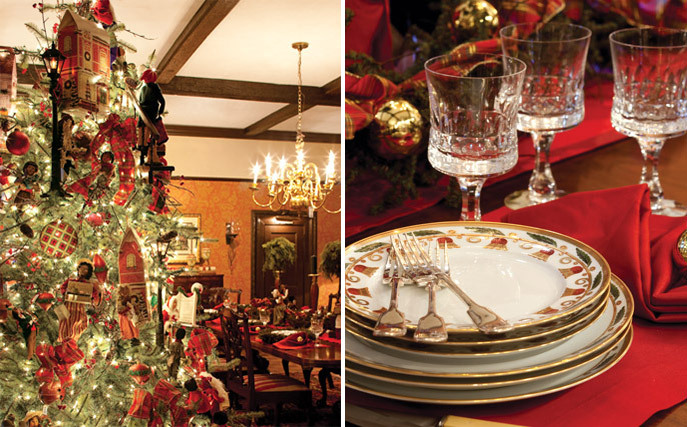 A charmed destination for celebrating the season, the property also includes the Courtyard—five shops that sell items ranging from apparel and linens to silver and Christmas ornaments—as well as the Science Hill Inn restaurant, which serves delectable food from the school’s original kitchen and dining hall. Radiant with elegance and rich with history, Science Hill remains a monument of gentility, education, and gracious living, just as it did more than two hundred years ago. Shimmering tabletop accents, one-of-a-kind gifts, and innovative decorating ideas are part of the holiday allure that tempts visitors back to the galleries every year. 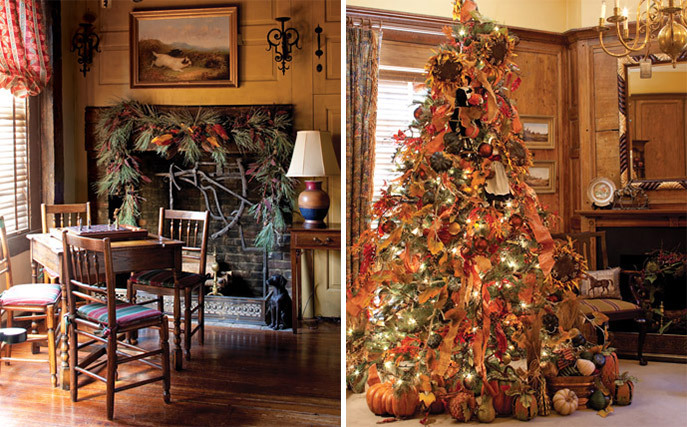 Swags of patterned ribbon, tiny lights, and fresh greenery trim the carved fireplace mantel on the main floor. 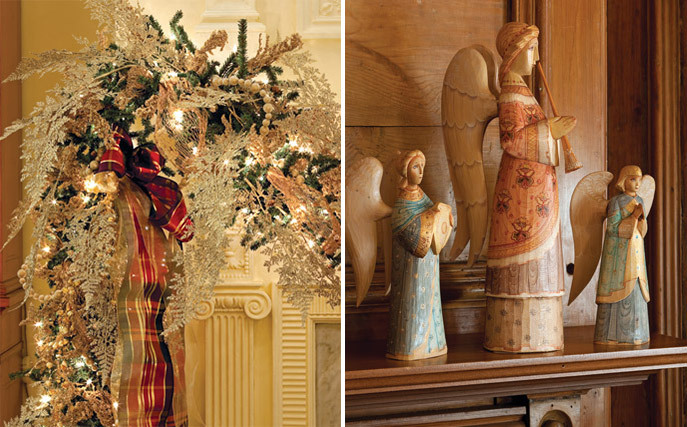 Handmade in the Ukraine, the wooden angel figurines were selected for Wakefield-Scearce in partnership with the Louisville Hopeful Hearts charity. The Wakefield-Scearce Galleries were the featured travel destination in the Holiday Bliss special edition of Victoria. Where do you love to travel at Christmastime? Could you announce the winner of the Ross Simons giveaway from last week? Thanks!!! It is so beautiful in Gatlinburg with everything decorated for Christmas. We lived to eat at the Pancake Pantry for breakfast. We always liked going to Gatlinburg, Tennessee during the Christmas holidays. Haven’t been since my husband died three years ago, December 19th. Our cobblestone street, Grahams chocolates and a one of kind store The Little Travelor. All decorated in Christmas finery! Come visit this quaint Midwest town! Beautiful and has a very beautiful history. Since I won’t be traveling this holiday, we will continue to enjoy the historic Biltmore House and the Grove Park Inn in my beloved hometown of Asheville. Your blog makes it possible for us to travel to a place like Wakefield-Scearce and Birmingham. What joy I receive from the beauty and the stories. Williamsburg. It’s beauty is unsurpassable. It takes you back to a more genteel time when Christmas was pronounced Christmas and wasn’t looked upon as just another holiday. I love to go to Niagara on the Lake at Christmastime. The shops are filled with ideas for gifts, the whole town is decorated in its best Christmas finery. If I lived closer, I would definitely visit Cape May, New Jersey…magical any time of the year. The Galleries must definitely be a beautiful place to visit, shop and dine at Christmas time. It would make a wonderful destination getaway. So glad to see that others still enjoy beauty and quality antiques. Unfortunately, we had to close our antique store in Missouri. The interest in antiques, particularly furniture, glass, crystal and china has diminished so much that it was not longer feasible to be in business. However, I realize that European antiques are of a different caliber than American ones. I am thrilled to see that antiquing remains alive and well in some areas of the US. This fact that this building was once a school for young ladies to truly pursue higher education just makes my heart sing. May you and yours have a beautiful and spiritual Christmas and Holiday season. Love this place. Being so close to Louisville it is a perfect destination for luncheons. Always beautifully decorated and filled with treasures! To Boston for history and culture and many other places in Massachusetts. Also the White Mtns. in New Hampshire. The Inns , mountains and covered bridges are a winter wonderland. What an amazing place to get inspired for the holidays, and then to be able to shop for Georgian antiques! Heavenly!